"When it comes to covering AC/DC, it's important to bare in mind that you can't rock AC/DC songs harder than AC/DC. As a lifelong fan of the band, it seemed that it would be preferable to pay tribute to them by interpreting their songs in a completely different way. To go the other direction, and do an all acoustic homage to these rock legends. For me, playing the songs in this way exposed just how good the songs are, and how much substance there is beneath the bombast of the loud guitars and wailing vocals. 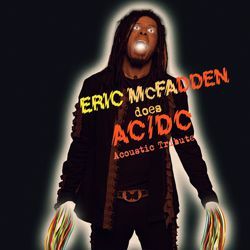 After Pat McDonald and his Tribute to Depeche Mode, it's the turn of Eric McFadden, the master of the voodoo gypsy blues, to attack a monument of the Rock. It is a sacrilege then to strip the biggest group of of all times of rock 'n' roll? Without the electricity of Angus Young, the frenzy of Malcom and hoarse voice of Bon or Brian, whom are worth these compositions which enriched all the physiotherapists of the whole world? We knew it for a long time, Eric is a master of covers. Then we shall not be surprised seeing him excelling at this dantesque repertory provided with its acoustic guitar, sometimes slide, sometimes bluesy, sometimes hispanicist and with its great hot voice that sometimes come to help with relevance a violin, a tambourine or feminine choir. From the intro of Hells Bells, Eric takes us in his world. The strings are made dark when arises his voice from beyond the grave close to a Tom Waits. It is the Baron Saturday that sounds the gathering of its zombies at the sound of the bells of hell. The big gathering of the damned of the Rock 'n' roll!!! That come to support the women who know magnificently how to keep the Rhythm, although it is splendidly slowed down and erotized by the Californian guitarist. We celebrate and we drink in a bar filled with smoke in the vapors of strong alcohol. It is its tour in the jazzy stenches with this humming double bass and this hispanicist guitar. Adorned to begin the furious evening in the sound of a Beatin Around the Bush plunged into an American bayou, Eric McFadden takes then the leisure to calm us by admiring the full moon at the sound of a mandolin sublimated on a melancholic Shook Me All Night Long. But the mass is far from being ended and McFadden settles to put us an uppercut in teeth, quite there bluesy slide rock 'n' roll. But we talk maybe too much! It is enough to listen to these arpeggios of violin and this ardent voice to melt you as vampires in the contact of blinding light of the sun. We are in Sin City, don’t forget it and it is naturally Whole Lotta Rosie who sparks things off. Executed in acoustic guitar slide completely, the native of Albuberque makes a success of his bet. Some pinched ropes, a voice come of besides grave, Eric McFadden plunges the title into the deep bayou where the soul of the old men bluesmen spreads as a trail of alcohol. It’s a long way to the top if you want to rock 'n' roll nowadays. No matter whether it is at the edge of a truck, of a motorcycle or any vehicle, let us take advantage of this magnificent journey which offers to us Eric McFadden and Ride on ! Keith Reid & Gary Brooker founded Procol Harum in 1967. In the same year A Whiter Shade Of Pale became a world hit. While Gary was the rockstar, the voice & face of Procol Harum, Keith was the poet and artworker who preferred to hide in the dark. At most, he flitted over a videoclip for a few seconds. Soon he decided to stay off stage and wasn't seen there for some decades. 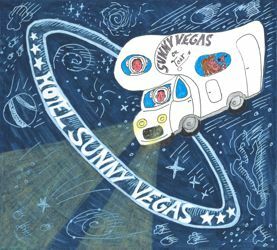 Quite a unique phenomenon in the rock scene. Anyway the band's classics, their musical, lyrical and artistic entirety – such as Homburg, A Salty Dog or Grand Hotel - would be unthinkable without Keith Reid. 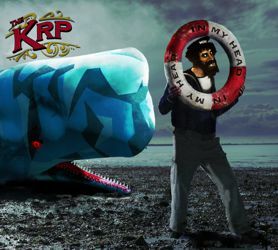 „In My Head“ is released under the banner "The KRP" (Keith Reid Project). It is Keith's second solo album after „The Common Thread“ (2009). The album contains a fine collection of soulful songs that Keith composed together with Anders Widmark, Rob Wassermann, Steve Booker, Anthony Krizan, Matt Noble, John Waite (famous for „Missing You“) and Steve Booker (writer of Duffy's 2008 hit „Mercy“). Six singers are featured on the Album: John Waite, Steve Booker, Anthony Krizan, Jeff Young, Chris Merola & last but not least on four songs, the young and talented Maya Saxell. For appetizer check out „Ten More Shows“ or In „My Head“. Bonfire selbst spielen an diesen Abenden ihre größten Hits und fungieren zudem als Backing-Band für zahlreiche internationale Rocklegenden. Die Besetzungsliste für die Konzertreihe liest sich wie das „Who-Is-Who“ der Rockgeschichte; so werden u.a. Bobby Kimball (ex-Toto), Joe Lynn Turner (ex Rainbow, ex-Deep Purple), Dave Bickler (ex-Survivor „Eye Of The Tiger“) und Phil Mogg (UFO) u.v.m. ihre größten Hits darbieten. 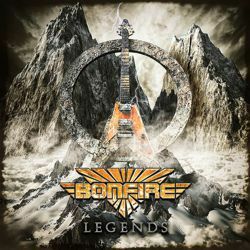 Am 19.10.2018 erscheint bei AFM Records/ Soulfood nun die Doppel-CD zur Tour: Bonfire – „Legends“ mit 35 Cover-Versionen der Lieder, die live dann von den legendären Sängern selbst gesungen werden! 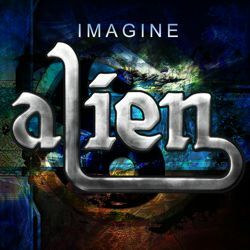 Furthermore, to celebrate the anniversary of their (platinum selling) breakthrough hit single ‘Only One Woman’ (originally ‘the Marbles’, 1968), Alien recorded their take on another much loved pop classic: IMAGINE (John Lennon) which will be released as a single (stream, download & video) on October 26th, 2018 as a ‘big thanks’ to the long-time supporters. 1988. 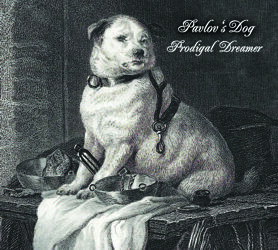 The debut single from a previously unknown Hard Rock band dominates the singles charts for many weeks. The track is called “Here I Am” and well-known from a Renault-5 TV commercial. Many TV show performances and intense touring all over Europe followed for the band DOMINOE. 2018. 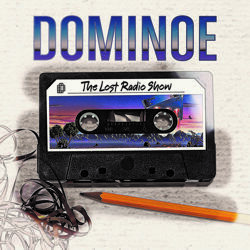 DOMINOE now since 30 years have been producing new albums every now and then – whenever they had fun to enter the studio again. The forces behind are mastermind Robert Papst on guitars and singer Jörg Sieber. “The Lost Radio Show“ now will be released in November and is the 6th album by this group. The content: the long lost studio live session recordings for a radio show from 2008.